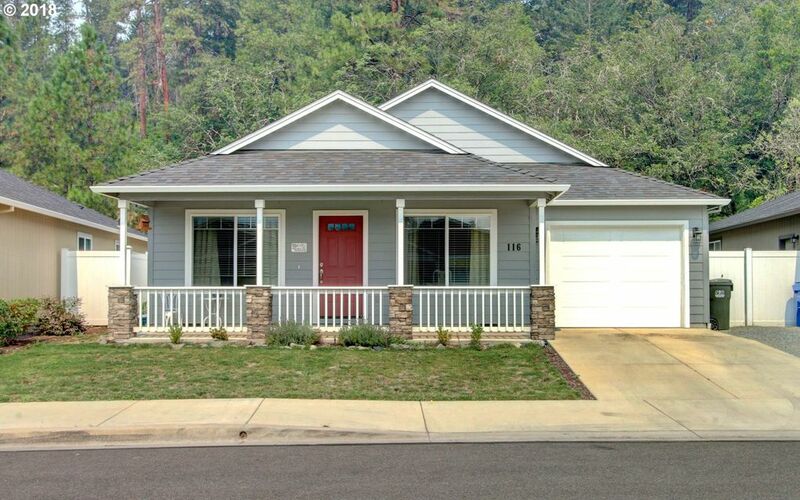 Charming 2014 home built in the Foothill Estates of Rogue River. This 3 bed, 2 bath, 1253 sq. ft. home has fabulous fresh features including: granite counters, stainless steel appliances, laminate flooring, vaulted ceilings and much more. This community boasts 2 parks for the neighborhood and is near the local amenities downtown Rogue River provides.